A system in balance runs efficiently and effectively. Think of tuning up your car and changing the oil, which results in improved gas mileage. Our bodies are no different. When we are in balance we have energy, efficiency, and vitality. When we are out of balance we have “dis-ease” and inefficiency. Let’s consider vitamin B12 deficiency as an example. It is essential for blood formation, as well as for brain and nerve function. Every cell in your body needs B12 to function normally, but the body is unable to produce it. Therefore, we must get it from food or supplements. Vitamin B12 is only found in animal foods (with the exception of nori seaweed and tempeh). Therefore, people who do not eat animal products are at an increased risk of deficiency. Once an individual has a certain lab value criterion below the normal range we would diagnose you with vitamin B12 deficiency and develop a treatment plan. But vitamin B12 deficiency does not just happen. There are many signs and symptoms of a system that is overworked and out of balance. Yet we might not pay attention to those signs. Think of an overheated engine. We would see the temperature gauge go up, perhaps even see some smoke. Well, often our bodies are overheated and sending us “smoke signals”. Are you paying attention to what your body is trying to communicate? These may be signs of weakness, tiredness or lightheadedness; heart palpitations and shortness of breath; pale skin; a smooth tongue; constipation, diarrhea, a loss of appetite or gas; nerve problems like numbness or tingling; muscle weakness, and problems walking; vision loss; mental problems like depression, memory loss or behavioural changes. These are just a few examples of our body’s communication that we are out of balance. So how do we back up or reverse the progression of deficiencies such as vitamin B12? This is where mindfulness and mindful eating come in. It helps you pay attention to how you feel physically and emotionally on a daily basis as well as while we are eating and after eating. Do you feel vital and energized? Or do you feel as though you are in a “food coma” and need to lie down after eating? We need to listen to our engine, our body. 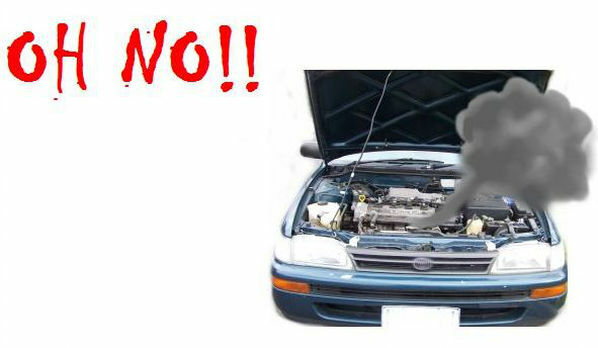 Are you using high octane gas that makes the engine run smoothly or cheap gas that makes your engine knock? Be mindful while you eat as well as afterwards in terms of how you feel mentally AND physically. So what can you do? One way to begin to dialogue with ourselves is to keep a food diary and include not only what you eat but also why you eat. Record how you feel before and after eating, both physically and emotionally. Perhaps you can begin to shift your focus from treating “dis-ease” to creating wellness and vitality from within. Change the oil and rotate the tires on a regular basis. Be in the moment and listen to your body and be mindful of how you are supporting your body, both physically and emotionally. There is no ONE perfect diet for everyone. Yet each person can begin to dialogue and listen to what best supports your individual body and encourages resiliency, vitality, and wellness. Let food be thy medicine. Stay tuned for post #2 in the Mindful Eating series at the end of this week on ‘How does mindful eating help solve eating issues’.